This is a sponsored post- Content and/or other value provided by our partner, Target. BB has partnered w/Target and their #SeHablaMusica campaign and is enjoying the latin music tracks. It's amazing how the body gets right back into our rhythms, no matter how long it's been since we've heard them. Also, nothing gets to my heart strings more or fills my soul totally, than a well sung ballad in Spanish. This CD has a great representation of all styles and Babushka's been bouncin' and bailando since I got it. Who do you think could—and should—be this year’s winners? No special effects, no crazy costumes, just him. Soulfully singing, loving lyrics with looks of longing, and those dazzling dimples. 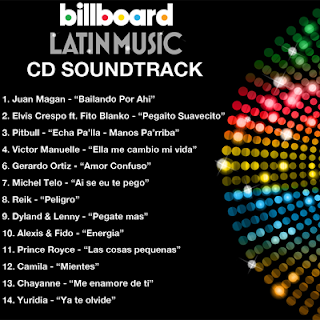 Who's your pick for the Latin Billboard Music Awards? P.S. Although this is a sponsored and compensated post, the opinions are all BB's.